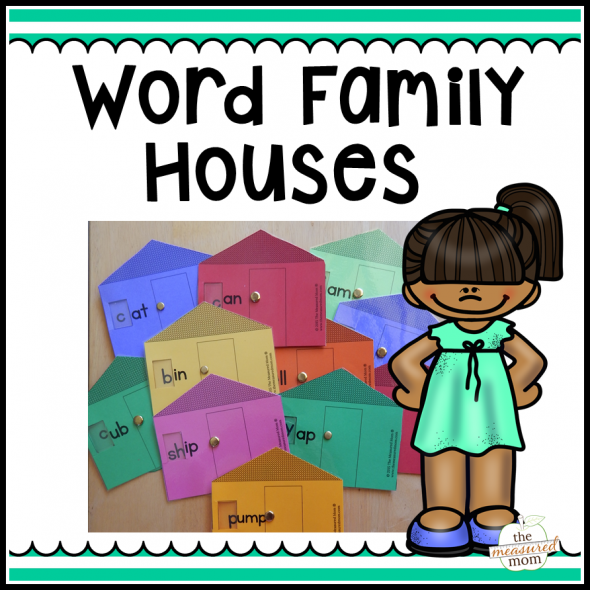 Teach word families with word family houses! 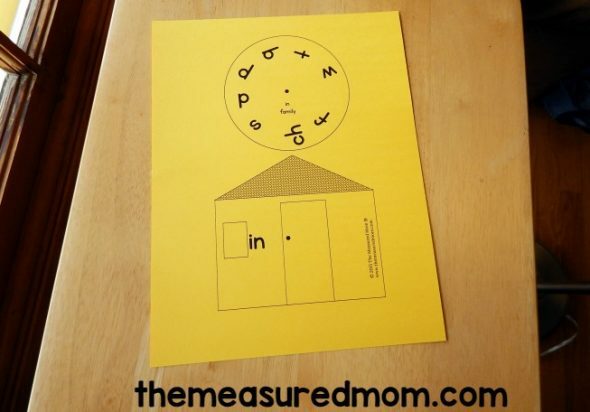 Looking for a hands-on printable for teaching word families? Check out our word family houses! 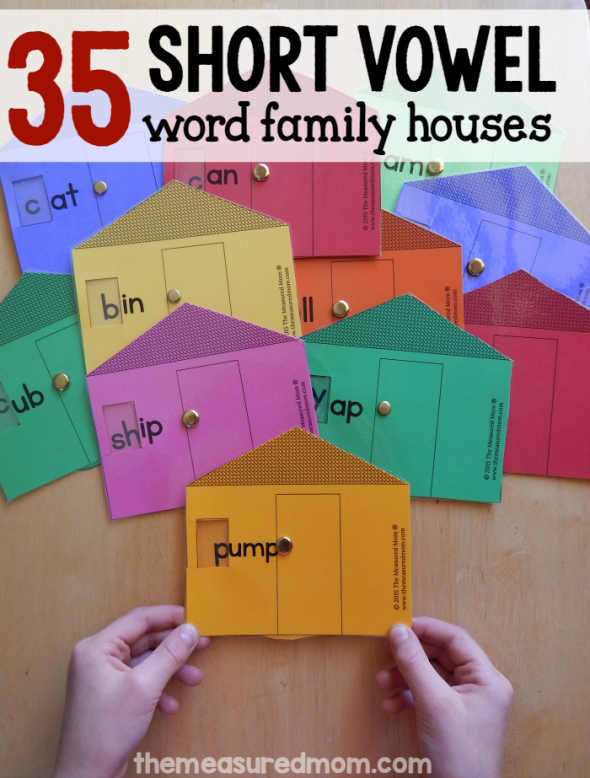 My word family houses were one of my very first printables here at The Measured Mom®. 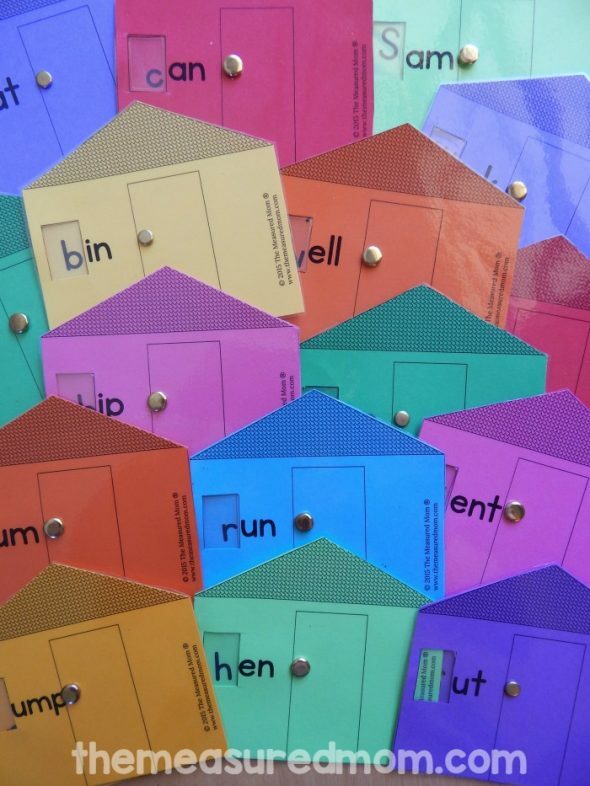 These little gems are wonderful for helping new readers crack the code of sounding out words! If you’re teaching a new reader to sound out words, I highly recommend using word families instead of groups of unrelated words. 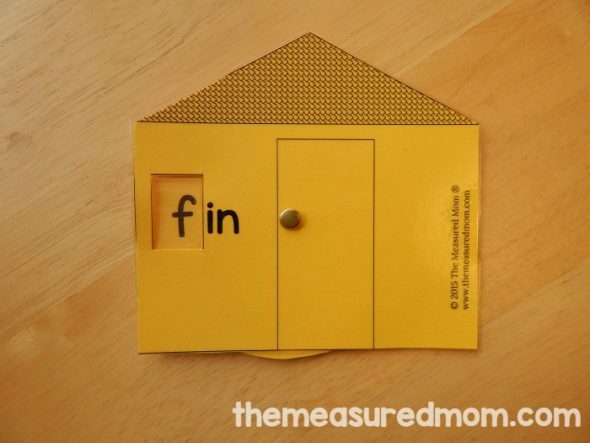 These word family houses are easy to print and assemble! 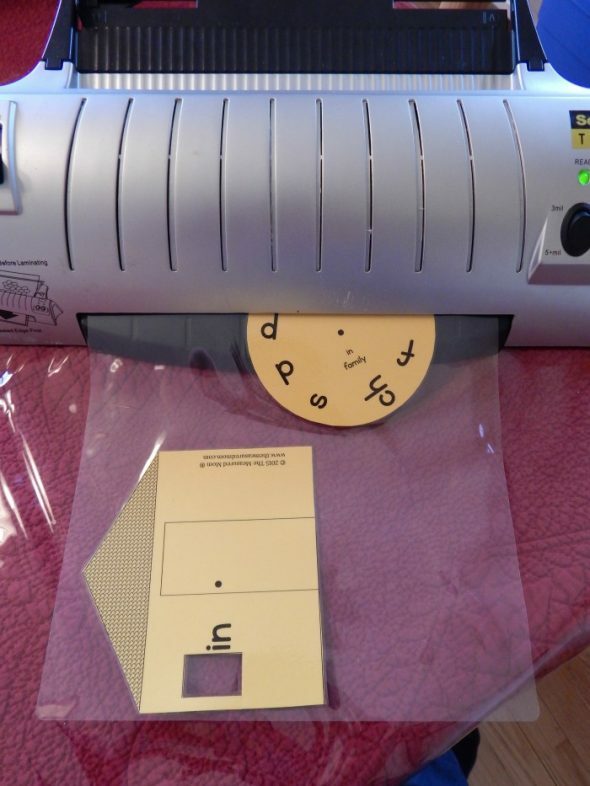 If you print on colored cardstock and laminate, you get a durable printable that will hold up through a lot of use. 1. Print each house on a single piece of cardstock. 2. Cut out each house and wheel, being sure to cut into the house to cut out the window. 4. Cut out the pieces and use a sharp tool to punch a hole through the black dots. 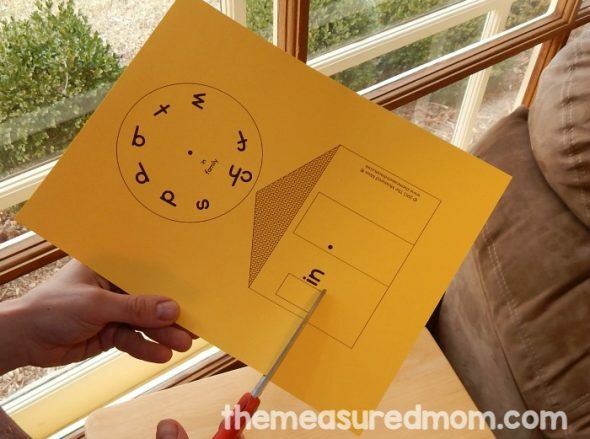 Assemble with a brass fastener for some hands-on reading practice! If you’d like my original sets, you can download them individually for free. Get the new and improved houses in a bundle pack! As I stated above, these were one of my first printables. Since then I’ve learned a few things (such as creating in MS Publisher is waaaay easier than making printables in MS Word). I re-created all the word family houses with a better font and layout. 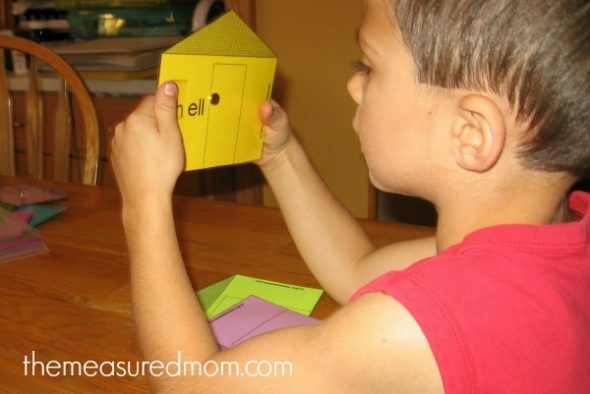 Plus, I’ve added more simple CVC words (such as cat and hat) and included fewer words that begin with blends and digraphs (such as flat and chat), making these truly perfect for beginning readers. Yay! Thank you for sharing, Susi! Was just wondering if the small books that you had for ‘word families’ are still available? I can’t seem to find it anymore. They were really very helpful. Hi! 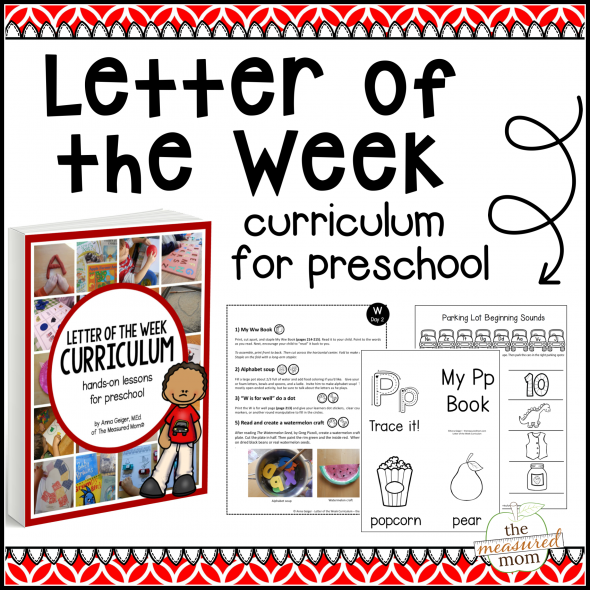 Great resource thank you! I don’t have any brass fasteners where I am currently. Any other ideas as to what I can use instead?